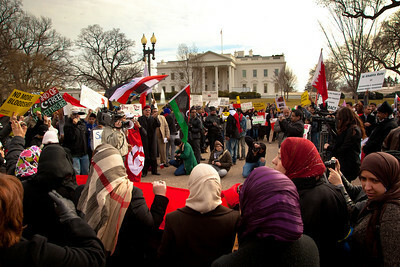 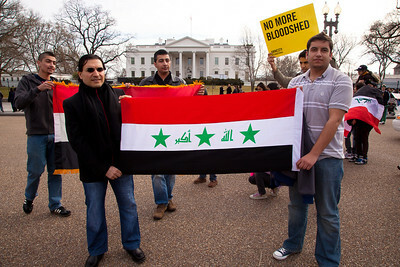 Hundreds of demonstrators gathered in front of the White House calling on the United States to do more to help liberate Arab nations. 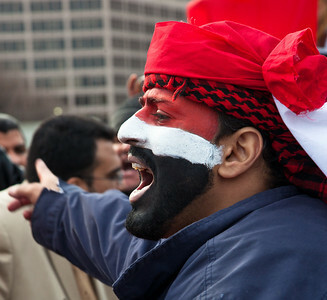 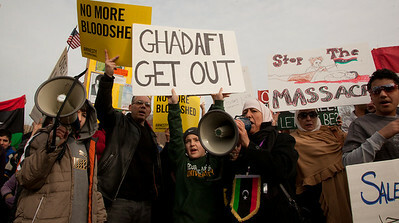 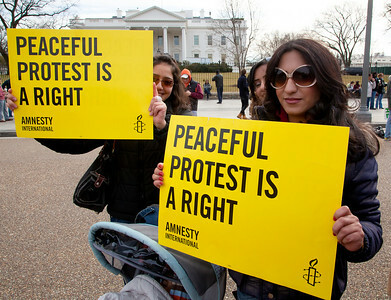 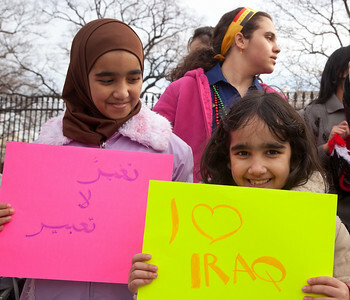 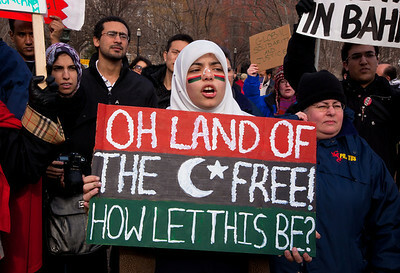 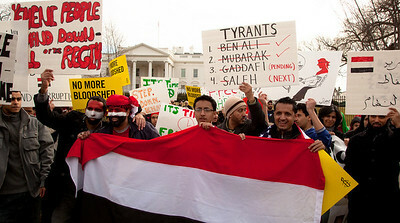 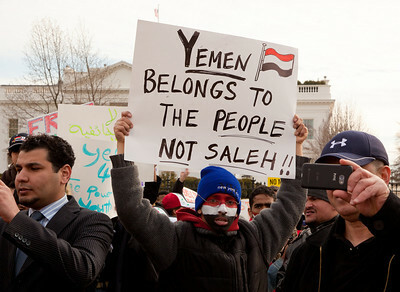 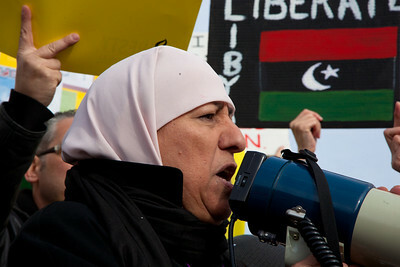 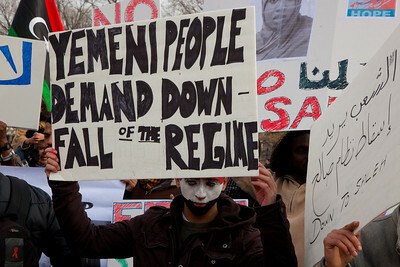 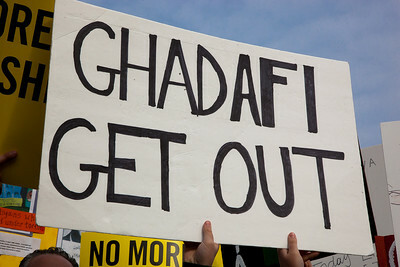 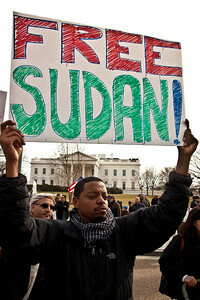 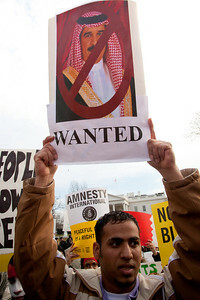 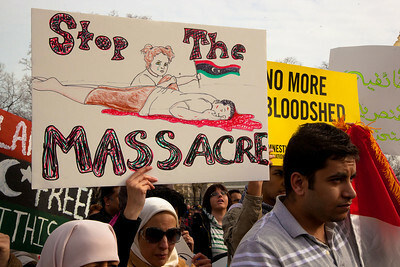 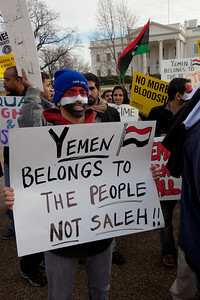 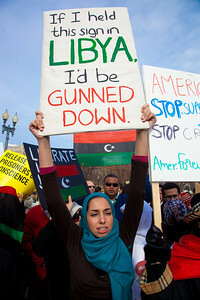 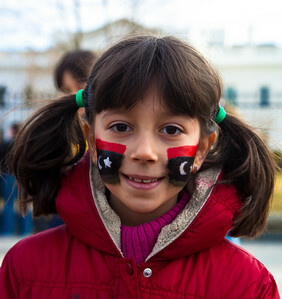 The protestors stood in solidarity with pro-democracy movements taking place in Yemen, Bahrain, Libya, Iraq, Iran and the Sudan. 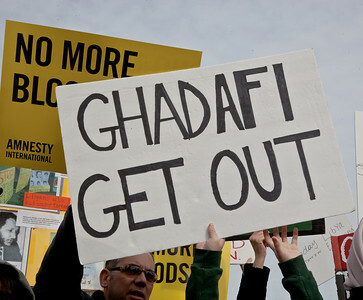 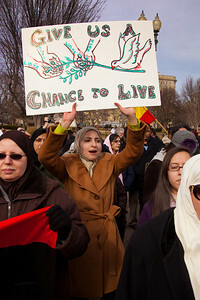 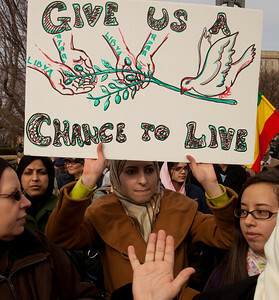 In Washington DC on Saturday, February 26, 2011. 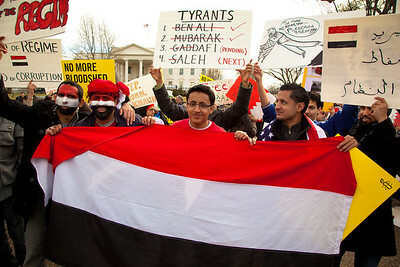 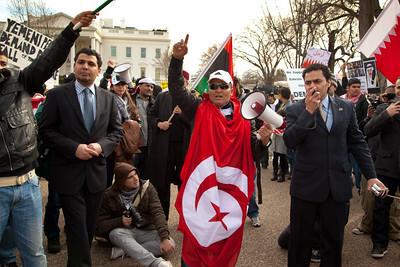 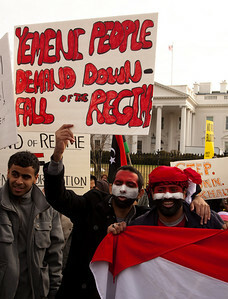 Demonstrators demanding that Egyptian President Hosni Mubarak vacate his office gathered outside the Egyptian Embassy to the United States and the White House on Sunday, January 30, 2011; and Febraury 4th for a march from the White House to the Capitol. 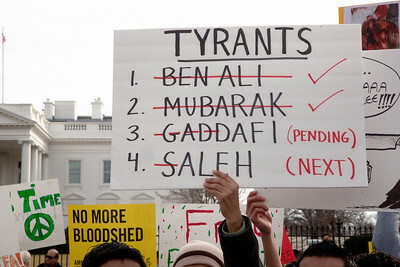 Mubarak has been head of government in Egypt for 30 years. 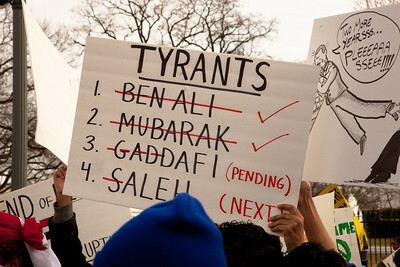 In recent days, thousands of Egyptians have poured into the streets of several cities to call for a change in government.